PRAGUE — The sheikh is back. Out of the spotlight since April, when he was identified as a co-conspirator in a United States sports bribery and corruption investigation, Sheikh Ahmad al-Fahad al-Sabah of Kuwait, the head of the influential umbrella organization for the world’s 205 national Olympic federations, took center stage at a meeting of the group here this week. Though he is largely unknown to sports fans and viewers of the Games, Sheikh Ahmad has an outsized presence behind the scenes in global sports. Over the last two decades, he has used his influence, exerted mainly through control over millions of dollars worth of sports funds, to push the agenda of a favored candidate in an election, or a bidding city in the race to host major events. In 2013, Ahmad was lauded as the “kingmaker” who engineered Thomas Bach’s ascension to the presidency of the International Olympic Committee; helped Tokyo secure the hosting rights for the 2020 Olympics; and delivered the vital vote that kept wrestling in the Summer Games. Yet after he was described in April as “co-conspirator 2” in the guilty plea of a former associate in the United States, Sheikh Ahmad’s future in sports governance had been in doubt. Shortly after being identified in the case, Sheikh Ahmad — who has denied all allegations against him — pulled out of an effort to win re-election to the governing council of FIFA, world soccer’s governing body, and announced he was leaving the sport. He then skipped key I.O.C. meetings in Switzerland and Peru where the organization offered the hosting rights to two futureOlympics to Paris and Los Angeles. 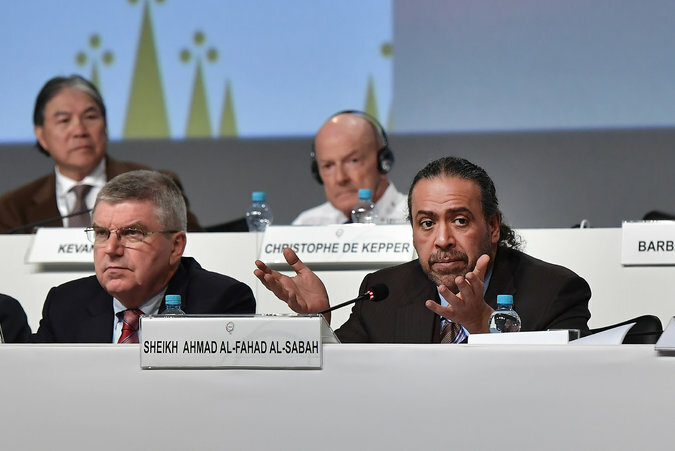 But this week, at the annual meeting of the Association of National Olympic Committees that he leads, Sheikh Ahmad made a very public comeback. For several days, part of which he spent seated next to Bach on the dais, Sheikh Ahmad has received compliments and the affection of the large majority of sports executives gathered for a no-expense-spared event. And despite ongoing ethics investigations by FIFA and the I.O.C., Julio Maglione, the Uruguayan who heads world swimming, and serves as a deputy to Sheikh Ahmad within the Olympic committees body, demanded a show of support for the president, saying ANOC had “unanimously cleared” its leader of wrongdoing. “I would like to say, as soon as I learned about these facts, I took all the requisite action in all the organization involved to dispel any doubts,” Maglione said. 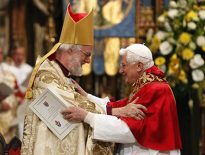 A few hours later, Sheikh Ahmad was joined by Bach at a ceremony to present Maglione with a lifetime award. By the end of the meeting, members had ratified by acclimation a resolution supporting their under-pressure president. 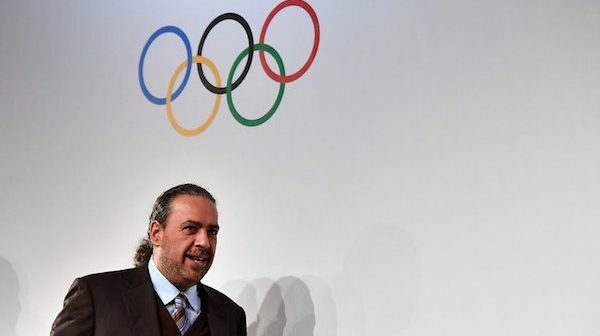 A one-time secretary general of the Organization of Petroleum Exporting Countries, Sheikh Ahmad, known for his gelled curls and burly security entourage, has spent decades building his sports portfolio to include almost a dozen job titles: an I.O.C. membership, president of the Olympic Council of Asia, vice president of the International Handball Federation. He even briefly coached Kuwait’s national soccer team, years before his abrupt departure from soccer this spring. Much of his influence is related to money. In spite of the allegations against him in the United States corruption case, he remains in charge of the I.O.C.’s development mechanism. 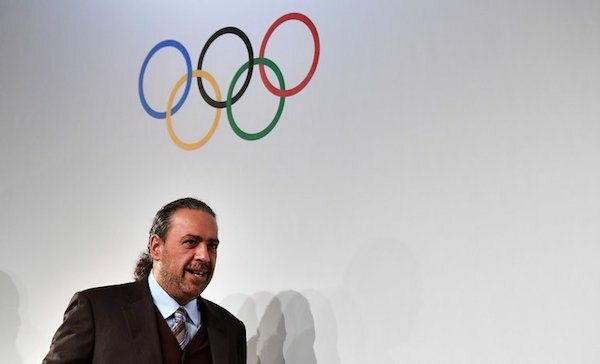 In his role leading the Olympic Council of Asia, a Kuwait-based regional body set up by his father in 1982, Sheikh Ahmad has won allies by providing handouts to sports federations. “You say ‘Sheikh,’ everybody knows who you are talking about,” said Maxwell da Silva, an official with Sri Lanka’s Olympic federation, which has been a recipient of Sheikh Ahmad’s support. Da Silva rejected even the suggestion that the president might have acted improperly. “There’s a famous saying that perception is reality, but perception also comes from the experience of man who has worked tremendously for uplifting Asia,” da Silva said. Sheikh Ahmad’s ability to control the purse strings is not just limited to Asia, though; in 2016, ANOC scrambled to provide $462,000 to its former vice president, Patrick Hickey, so he could pay bail and be repatriated to Ireland after he was arrested during the Rio Olympics on suspicion of ticket scalping. “Since when was ANOC in the loans business?” Alfred Emmanuel, an Olympic official from Saint Lucia, said when asked about the assistance provided to Hickey. ANOC has acknowledged that the money might never be repaid. While that payment was announced publicly, and said to have been with the consent of the board, United States authorities remain troubled by accusations of off-the-book payments to officials like Richard Lai, a former soccer leader from Guam. In his guilty plea earlier this year, Lai said that the head of the Olympic Council of Asia — unnamed in the plea but identifiable by the title as Sheikh Ahmad — transferred nearly $1 million to him through an intermediary. The money, passed on by a man later identified as Husain al-Musallam, Sheikh Ahmad’s chief lieutenant, was paid to influence key appointments in regional and international soccer bodies, Lai admitted. Still, the prominent seats of Sheikh Ahmad and Musallam, or co-conspirators 2 and 3, made for a strange backdrop on Thursday when the Canadian lawyer Michael Chambers rose to announce plans for the association’s first independent ethics panel. Corruption could never be completely rooted out, Chambers said. There would always be individuals prepared to accept bribes, and others prepared to offer them. Except for those offering praise, few officials were willing to speak openly about Sheikh Ahmad. One senior representative said those who speak out in the Olympic movement often end up being ostracized. But one, the president of Namibia’s Olympic committee, Abner Xaogub, allowed that Sheikh Ahmad’s case had not been handled well by ANOC, and that he should have been suspended — at least temporarily. “We should have said, ‘Let’s excuse you for now, and then basically we get somebody to stand in for you while this case is there,’ ” Xaogub said. The situation is affecting “the image and the integrity of the organization,” he added. Sheikh Ahmad declined to discuss his status with reporters. “No questions please,” he said as his security detail moved into block any further interaction with the news media. The ethics questions have created an uncomfortable situation for Bach and the I.O.C. Until he is cleared of the corruption allegations, Sheikh Ahmad’s prominent roles undermine the movement’s ability to rehabilitate an image that has been battered by recent scandals. Three months before the Winter Olympics in Pyeongchang, South Korea, the I.O.C. remains under scrutiny for how it will deal with Russia after it was exposed for corrupting several Olympics through a doping program, and a corruption case related to the 2016 Rio Games has led to charges against several top Brazilian officials. In an address to the Olympic committees on Thursday, Bach pushed back on critics who have complained that the I.O.C.’s disciplinary procedures have been selective and slow-moving.